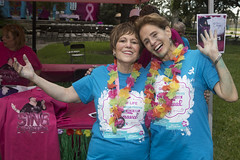 Each year, the Gift of Life provides nearly 2,500 clinical breast exams and mammograms to Southeast Texas women who would otherwise go without these essential, lifesaving screenings. Helping each client bridge their individual and unique barriers to medical care is an enormous task that requires the skills, experience and compassion of knowledgeable case workers and staff who ensure that each woman receives superior care in her journey to health and healing. 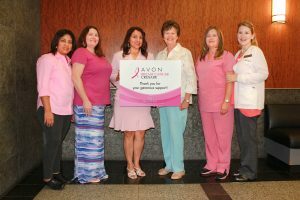 Thanks, in part, to the funding provided by the Avon Breast Health Outreach Program Grant, the Gift of Life can maintain a full staff of individuals who excel in their field of care. At each step of their path, Gift of Life clients are loved, cared for and assisted by extraordinary Gift of Life Program Services staff who go above and beyond the call of duty. Kristen Foster, CHW: Kristen Foster is a full-time employee who is the first line of reception for many Gift of Life clients. She answers client calls and assists in providing them with the help they need as they seek and receive care. Impediments, like lack of childcare or transportation, that might otherwise prevent a woman from receiving a free screening are overcome with Kristen’s help. If a client is struggling to pay their electricity bill or is without adequate groceries to feed their family, she can route them through community services that can immediately offer relief. Additionally, Kristen manages client paperwork, helps complete client applications and schedules client screenings. 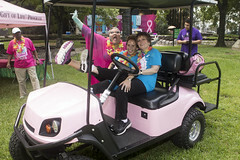 Molly Lee, CHW: At every mobile mammography van site or hospital screening site, Molly Lee, a full-time employee, is present to navigate women through care. The day before the screening, she arrives to set up and preemptively resolve any problems that might affect the success of the screening. During the site, she manages client paperwork, coordinates volunteers and addresses client concerns as they arise. Molly ensures each client receives a clinical breast exam and helps provide the Gift of Life’s educational materials about performing self-breast exams, understanding your body and making healthy lifestyle choices. She’s even been known to babysit children as their guardian is being screened! To make certain that clients don’t miss their appointment, Molly mails reminder letters one week prior to their screening, followed by reminder calls and texts. She reschedules clients that cancel and reiterates the importance of self-care at every step of the way. Bernice Loza, CHW: Bernice Loza is a part-time, bilingual employee who bridges language barriers as the Gift of Life provides care for its Spanish-speaking clients. Bernice schedules follow-up appointments and diagnostic mammograms for those who present abnormal results. 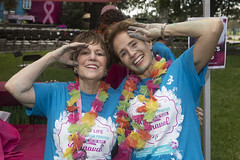 If a woman is diagnosed with cancer through our screenings, Bernice personally meets with them, comforts and supports them and provides them with a Gift of Life Survivor Bag, filled with heartfelt items that will help them through their cancer journey. 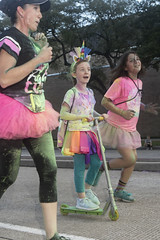 Many Gift of Life breast cancer patients struggle with financial limitations. As a highly skilled and knowledgeable Community Heath Worker, Bernice can connect those clients with the additional support services they need. Christina Morris, BSN, RN: As Gift of Life Program Manager, Christina is a full-time employee who oversees and coordinates every aspect of the Gift of Life’s mission. Her goal is to provide each client with a compassionate, holistic experience. Christina brings her extensive medical expertise to the team and often works as a patient advocate for clients who experience a multitude of health problems or require assistance communicating with their physicians and providers. 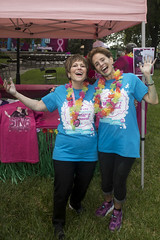 In addition to her extensive role, Christina plans and coordinates the Gift of Life Pink Power Network Breast Cancer Support Group. By staying informed on the most pertinent topics affecting breast cancer patients and survivors, she can offer customized meetings that uplift and empower our Pink Power Ladies during their journey to healing and health. Charlotte Simoneaux: A part-time employee, Charlotte Simoneaux has a long and rich history with the Gift of Life. She is familiar with every aspect of the organization and is keenly acquainted with other community services that can benefit our clients. 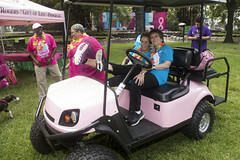 Charlotte serves as a tireless advocate who can manage special concerns and circumstances that might affect our women. In addition to this important role, Charlotte schedules and coordinates mobile mammography van sites and manages important reporting documents. 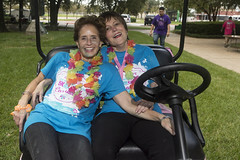 Charlotte, a true to friend to those in need, is often a client chauffeur, who shuttles women who lack transportation to and from screening sites. Martha Suarez: As a bilingual, part-time employee, Martha plays an important role in the seamless navigation and care of the Gift of Life’s Hispanic clientele. In addition to translating documents, forms and educational materials, Martha also helps schedule clients, complete their applications and resolves issues of childcare and transportation. By communicating with Hispanic women in their native language, Martha helps each client understands how to care for herself, make healthy lifestyle choices and benefit from the lifesaving services available through the Gift of Life. Gift of Life clients enjoy remarkable care, compassion and concern with our exceptional Program Services team. 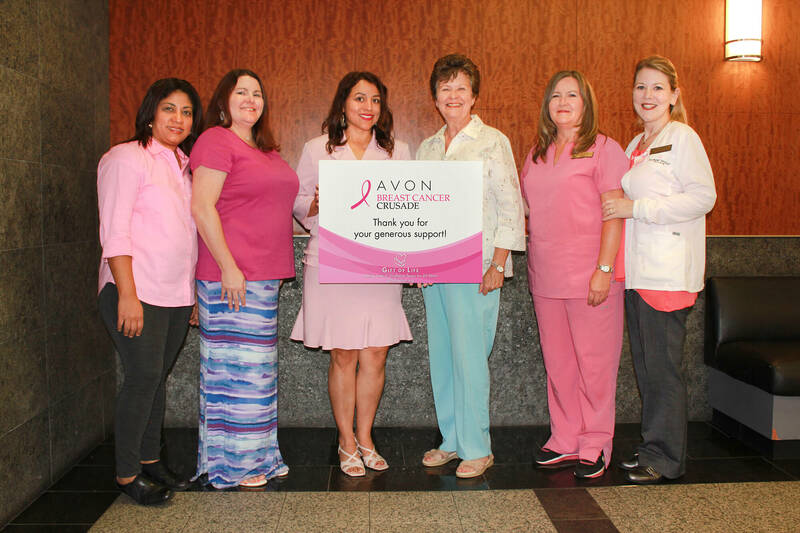 The Gift of Life is so fortunate to have the support of Avon Breast Health Outreach Program to enable it to continue providing skilled and committed caregivers for our beloved clients.